Sometimes called the black moon, the new moon is one of the lunar cycle phases that nourish many popular cultures and beliefs. A new moon takes place every 29,5 days when the moon is between the earth and the sun. This moon is invisible at night from our planet. The movement of the planets undoubtedly has an impact on us. What is the influence of the planets, especially the moon, on our body and mind? 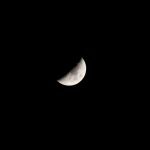 Is there a relationship between new moon and sleep? The new moon is the first phase of the lunar cycle. It symbolizes personal renewals and the perfect time to embark on new projects or to start over. Then, the visible part of the moon gets bigger until a perfect circle is finally formed. The moon has been the center of many beliefs in different cultures since the dawn of time. Its fascinating and regular cycle is the subject of many urban legends and popular beliefs. It is said to be the perfect time to sow seeds, start a diet or cut one’s hair. Legend has it that the new moon can even get pregnancy labor started, which is not supported by figures. The moon has yin energy, feminine energy. You are lying in bed, it is already very late, and a beautiful round moon illuminates the night with a bright light. No matter how hard you try, you cannot sleep. Does this scenario sound familiar? The planets’ movement does affect the human body indeed. Each one of us responds to it differently. In fact, at the time of the full moon and the new moon, the sleep of many people is much disturbed. Scientific studies show that the rate of melatonin, the sleep hormone, drops significantly on the nights of the full moon. It results in shortening the time of deep sleep, and multiplying the waking periods are by two. Lunatic takes root from the Latin word Luna which means moon, and it refers to people whose mood changes very often. The theory behind this says that the moon’s radiation plays a role in our cells and our nervous system, which would lead to increased irritability, stress or explosive emotions such as anger. It’s just a theory, however, because science has not yet supported this hypothesis. According to 2019 Calendar, we give you all the new moon phases for this year. Thus, you will be able to prepare yourself and adapt your lifestyle if needed at that particular time of the month.